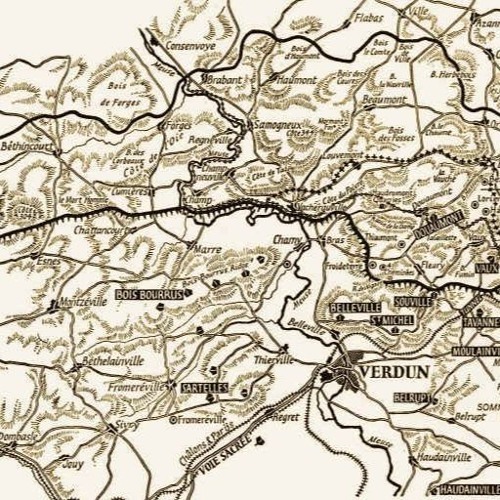 Two omni-directional microphones were placed approximately 50' apart in the zone where some of the fiercest fighting took place during the Battle of Verdun (February 21 - December 18, 1916) in World War One representing some of the shortest distances between the French and German trenches. The recording is an anomaly in terms of stereo recording, which typically employs techniques to accurately represent the human hearing system. Here however, there is no regard given to reproducing the human hearing system and instead the microphones are placed to represent physical geographic points of two belligerents of the First World War and their closest proximities.